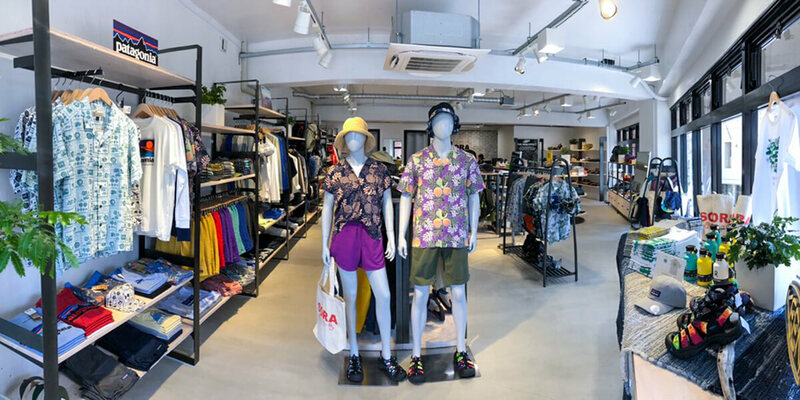 SORA ISHIGAKIJIMA offers a wide collection of outdoor wear and gear along the latest trends. The shop introduces various leading brands from over the world and focusses on fashion & sports, environmental protection and ecology. SORA presents a hybrid style of outdoor items, combining high-technology with authenticity and outdoor fields with the streets. You will find a range of products to full-fill your outdoor ambitions or your wishes for fashionable street wear. It goes without saying that SORA ISHIGAKIJIMA has selected a product line-up that well suits the climate and outdoor activities of this tropical island.